Sydney, 6 February 2019: Returning to the place where he nearly lost his life during the Anzac Day earthquakes in 2015, architect and principal at Davenport Campbell, Neill Johanson is leading a group of volunteers to the remote farming community of Garma to finish work on a new earthquake-resistant community hall. The Australian Ambassador to Nepal, Mr. Peter Budd will officially open the hall and join with the school community and volunteers to celebrate this achievement and to recognising Australia’s ingenuity and compassion for the people of Nepal. The Australian volunteers have backgrounds in engineering, project management, architecture and other construction industry specialties. Each volunteer has been instrumental in personally raising funds to rebuild the hall and they will now offer their time and expertise to see the project through to completion on site. Davenport Campbell has been working on the project since 2015, with involvement in re-planning the school classrooms and supervising the rebuild. 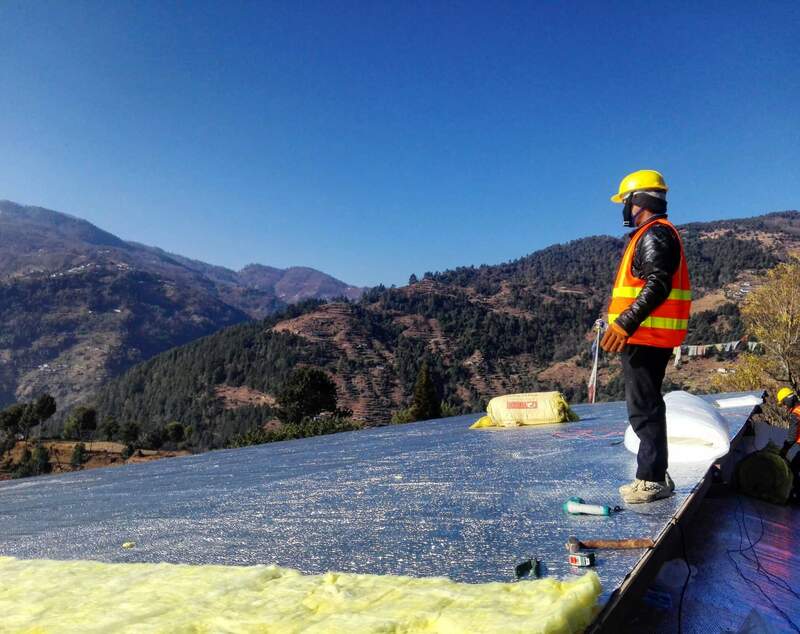 The design of the hall has been developed in association with the Australian Himalayan Foundation and other engineers and architects, using earthquake resistant technologies to enable the school to withstand a future earthquake. In late 2017 the classrooms were officially opened, and the school can now safety accommodate 350 children, many of whom have special needs requirements. Neill Johanson explains: “It will be a proud moment as we conclude our role in the reconstruction program leaving behind a rebuilt school and a hall that will be the centrepiece of the Garma community, essential to the ongoing physical and emotional recovery process of the region”. Additionally, Davenport Campbell in association with the Australian Himalayan Foundation have established an apprenticeship scheme with Nepalese government endorsement that enables the local community members to gain a recognised certificate for the skills they have gained by rebuilding the school. 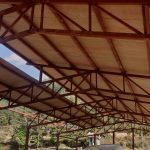 “The construction methodologies developed for Garma have now been transferred to dozens of other damaged schools in the region – 58 classrooms are now complete. 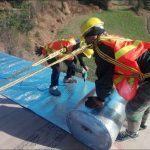 This apprenticeship program is having a real impact on the construction skills of the community as well as the educational outcomes of the young school children of the Upper Solukhumbu region and will help lift them from poverty”, highlighted Johanson. Neill Johanson’s personal interest in the earthquake damaged region of Nepal stems from his experience on Mount Everest when the earthquakes struck. “I returned to Mount Everest in 2015 to guide a group of trekkers to Everest base camp. On ANZAC Day we were just below base camp and became immediately part of a humanitarian crisis that resulted in 9000 fatalities”. “It was only the selfless actions of the Sherpa people during the earthquake’s aftermath that enabled us to make it safely back to the Australian High Commission in Kathmandu” Johanson added. Moving forward, Davenport Campbell’s continued involvement in Nepal will focus on supporting educational outcomes for women and girls in the remote Garma region. 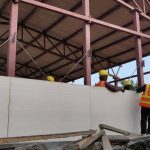 “Our major patron is the National Women in Construction, a group that looks to support and promote women in the property and construction industries. Their goals are aligned with ours in terms of supporting women, hence their strong interest in helping the school girls of Nepal”, Johanson explained. “The work we do in Nepal underlies everything we represent as an organisation and provides enormous personal satisfaction to our employees. We will look to continue this work and partner with other organisations to bring about positive change for the people who need it most,” Johanson concluded.